Settled by Anglo pioneers in 1827, Cane Hill is one of the earliest settlements in Washington County. The community was a witness to both Trail of Tears and Civil War activities. The Cannon detachment of Cherokees passed through here in 1837 on their forced removal to Indian Territory. Still standing and currently undergoing restoration is the Methodist manse. Built in 1834, the building is under review for inclusion as a “witness structure” on the Trail of Tears National Historic Trail. 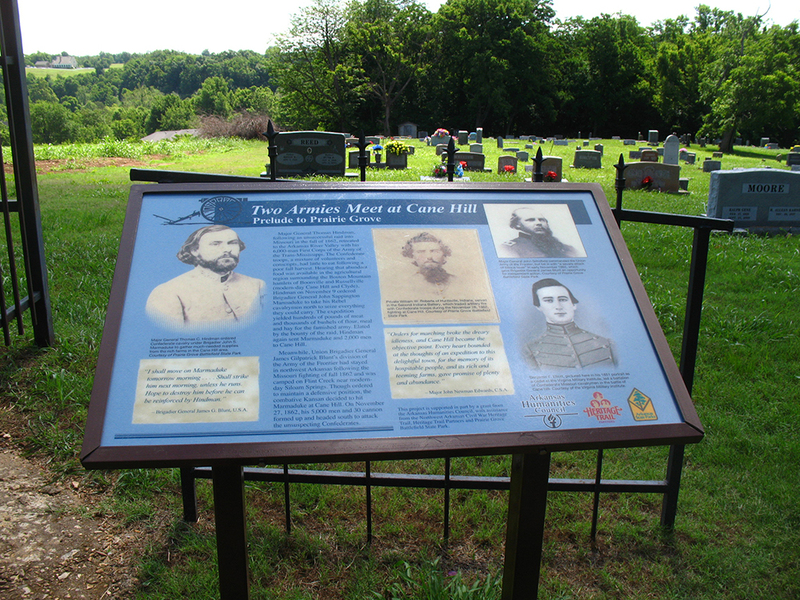 Cane Hill was also the site of a Civil War skirmish in 1862. Several properties in Cane Hill are listed on the National Register of Historic Places. Historic Cane Hill, a non-profit organization currently restoring many historic sites in the community, also operates a museum.